How to Turn Your Junk Car Into Gold, Instantly? Are you doing nothing about the junk car that is sitting in your garage? It is important to remember that you are not only wasting hundreds of dollars by letting that valuable pile of metal and auto parts collect rust, but you are also playing a part in damaging the environment. Yes, junk cars if left alone for a long time, can leak hazardous fluids and become part of the very soil that grows vegetables for us, and more importantly, can leak into the water reservoirs. Dial 0404 422 111 to sell that junk car for some real cash, real fast – Do yourself and your environment a huge favour. Have you been believing that selling a junk vehicle is a tiresome and time-consuming job? Or, are you giving yourself excuses by considering that cash for car companies don’t wreck the cars “responsibly”? You apparently haven’t heard about Cash for Car Perth! 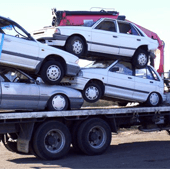 We are one of the leading auto wreckers and recyclers in Perth that pays up to $9999 in instant cash. 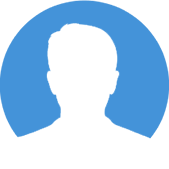 We only need a phone call or an email from you and we will take care of the rest offering you a concise and simple solution to get rid of your junk car instantly. When you contact the experts at Cash for Car Perth, all you need to worry about is what you are going to do with the money that you will be getting from us in exchange for your junk car. From rightly appraising your junk vehicle to the paperwork to car removal and then finally recycling it in eco-friendly ways, we take care of everything. At Cash for Car Perth, we only have one motto – to make getting rid of the junk vehicles easy for our clients. 1. Cash paid for any car or truck, in any condition. No wheels? No Problems! 2. Rusted Out? We’ll Clear it out! What are you waiting for? Join hundreds of happy Cash for Perth clients and turn your junk, unwanted vehicle into real and instant cash. You will start wishing that you had more scrap vehicles lying around your house with your first successful deal with us. Never let your car collect rust and damage the surroundings. Get rid of them instantly with Cash for Car Perth! Join the movement to a cleaner environment and become a little wealthier in the process too! Pick up your mobile and dial 0404 422 111 now!